The destruction will severely disrupt revenue flows as the U.S. territory faces a $74 billion public debt. NEW YORK — Hurricane Maria has thrown Puerto Rico’s already messy economic recovery plans into disarray. 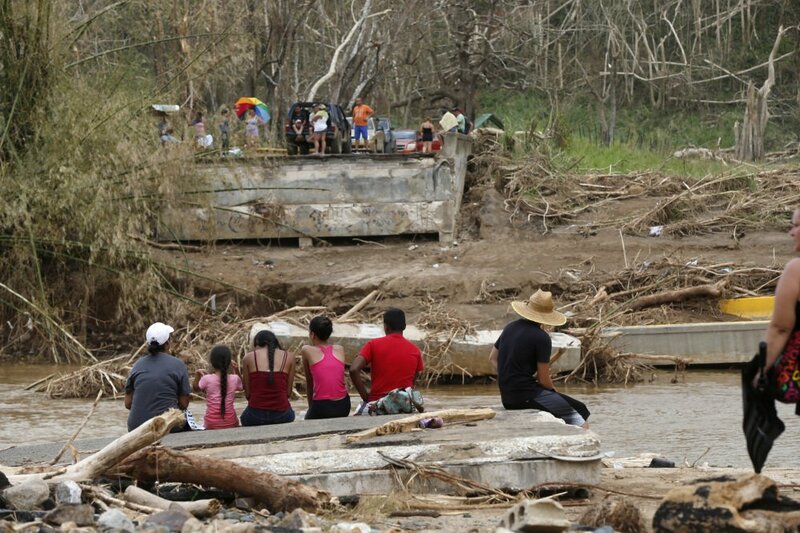 For now, the focus has shifted from Puerto Rico’s financial woes to meeting the basic needs of its 3.5 million people, many of whom still lack adequate food, water and power more than a week since the Category 4 hurricane laid waste to the U.S. territory. But as Puerto Rico emerges from the worst of the disaster, it will still face a $74 billion public debt load and a decade-old economic recession that has sent hundreds of thousands of islanders fleeing to the U.S. mainland. The hurricane has interrupted court proceedings and mediation efforts with creditors aimed at restructuring the debt. The destruction will severely disrupt revenue flows and force a recalculation of a fiscal plan, painfully negotiated with the federal oversight board appointed to oversee Puerto Rico’s finances. While there is some potential for federal recovery money and insurance payouts to jolt a stagnant economy, much depends on how much aid Congress will approve. President Trump on Friday promised the rebuilding effort “will end up being one of the biggest ever.” With so many unknowns, however, economists are unsure if there will be any silver lining for Puerto Rico. Here are some things to watch as Puerto Rico confronts the dual challenges of natural disaster and economic chaos. Puerto Rico’s efforts to put its finances in order were mired in controversy, lawsuits and street protests. Now, the island must rethink everything. The oversight board appointed by Congress approved a 10-year spending plan in March that chipped away at the government’s debt load while cutting employee benefits and raising service fees. The plan must now be revised to take into account expected revenue losses and a drop in economic output. Tax collection is certain to plummet, especially if more Puerto Ricans flee to the mainland. And nobody will be paying their electric or water bills anytime soon. The Puerto Rican Power authority says it could take months to completely restore power. Revenue from manufacturing and tourism will also fall. Jose Luis Cedeno, a spokesman for the board, said “all options are on the table.” For now, the board has authorized $1 billion of the current budget to be diverted for hurricane relief. That’s a fraction of the tens of billions of dollars that the hurricane is expected to cost. The disaster is bad news for the island’s investors, mostly mutual funds and hedge funds that bought distressed Puerto Rican bonds at a discount in hopes of making a profit. Creditors can expect delays in the restructuring process and will come under pressure to accept even more reduced payments, said Ted Hampton, an analyst with Moody’s Investor Service. Faced with multiplying lawsuits from creditors, Puerto Rico sought a form of bankruptcy protection in May. The federal judge who is overseeing that process, Laura Taylor Swain, indefinitely postponed a key Oct. 4 hearing because the hurricane paralyzed the island. Funds earmarked for debt repayment could be reduced under a revised spending plan. Those were already low at $800 million a year, a fraction of the $35 billion due over the next decade. “There is no way Puerto Rico can pay its debts right now,” Setser wrote in a blog post for the Council on Foreign Relations. The Puerto Rican government brushed aside one group of creditors who jumped in this week with a new offer, accusing them of trying to take advantage of the disaster to cut their losses. The bondholders, who hold 40 percent of the Puerto Rico Electric Power Authority’s $9 billion debt, offered to extend a new credit line through what’s known as debtor-in-possession financing. That would have helped fund the power company’s repairs while also giving the new bonds priority over other creditors in the restructuring proceedings. But it’s not just hedge funds and mutual funds left hanging. About a fifth of Puerto Rico’s debt is held by individuals who bought the bonds because they are exempt from state, local and federal taxes and had long been considered safe. 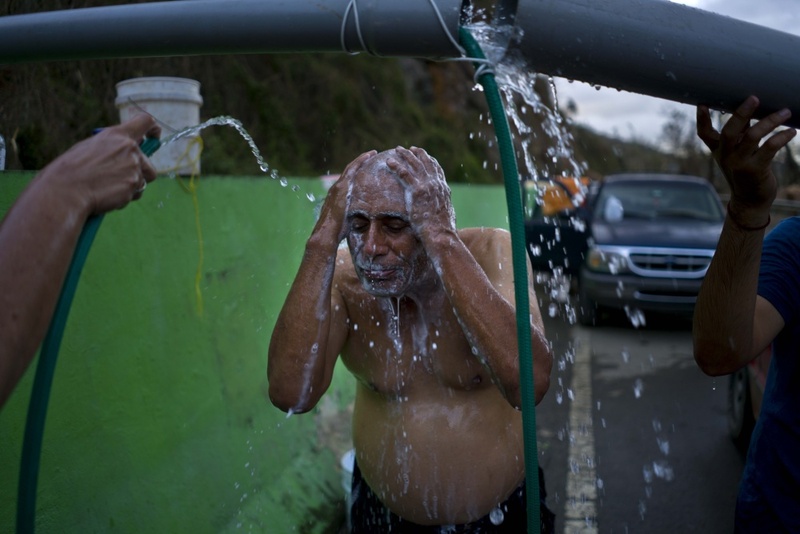 Puerto Rico’s fundamental challenge is its decade-long inability to generate economic growth. The decline began in 2006 when Congress repealed a tax exemption that helped turn Puerto Rico into a global manufacturing hub, especially for pharmaceuticals. Hurricane Maria has dimmed already bleak prospects for a turnaround. But Puerto Rico was so broke to begin with that is difficult to know how much extra money will be left over after storm repairs. Even before the hurricane, the Puerto Rican power authority had estimated it would need $4 billion to upgrade aging infrastructure that was already causing frequent blackouts. Tens of millions of dollars were needed to fill overflowing landfills that make it unbearable to be outdoors in some towns. Much depends on Congress, which is expected to take up a supplemental spending bill to help both Puerto Rico and the U.S. Virgin Islands. After facing accusations that it was underestimating Puerto Rico’s plight, the Trump administration has been ramping up aid efforts. Heeding pleas that Puerto Rico was in no position to finance much of the relief efforts, the government agreed to pick up 100 percent of the costs of emergency assistance. U.S. states and territories typically cover 25 percent of the costs. Trump, who has been criticized for mentioning Puerto Rico’s Wall Street debt in a time of crisis, brought it up again in a speech Friday.